Army West Point may not have recent history on its side when it comes to facing Navy on the gridiron, but the Black Knights will represent one of the service's most storied units when they take the field in Baltimore on Saturday. Two shoulder patches, one with a 48-star flag and another with the familiar double-A, "All-American" logo of the 82nd. Patches on the front of the uniform that identify individual regiments and battalions within the division. A helmet design that features a lattice overlay to symbolize the netting worn by soldiers of the era, along with helmet symbols that also identify the 82nd's individual units. A muted gray color scheme, which was chosen "to express the fact that some of the most treacherous combat jumps happened at night, under the cover of darkness," the website states. 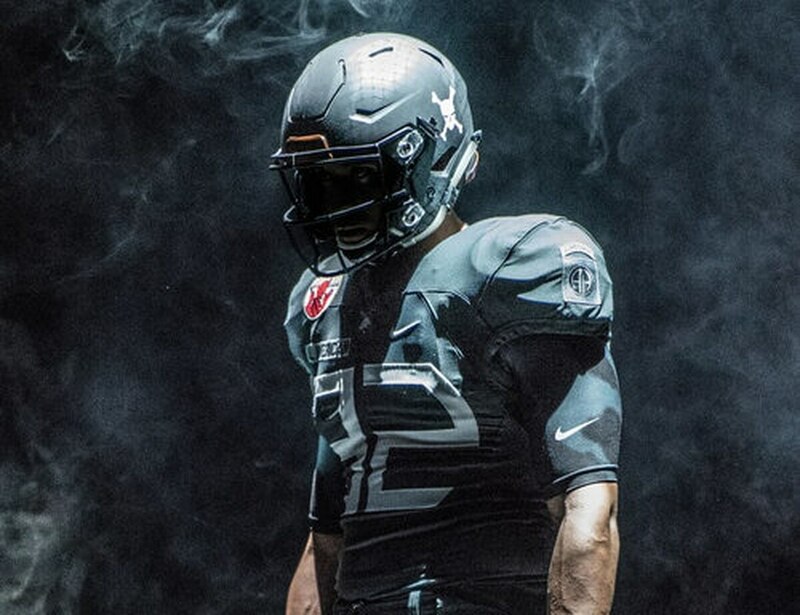 The new Nike-crafted Army West Point uniforms will debut Saturday against Navy in Baltimore. Many of the preview videos feature uniform No. 82; on Saturday, that'll be worn by senior wide receiver Edgar Poe, who leads the team in both catches (14) and receiving yards (292) despite missing three games because of injury. 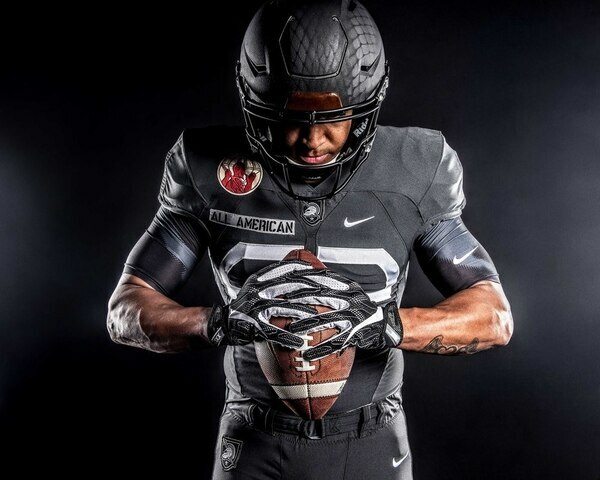 Both teams have unveiled new gear for the rivalry game in recent years -- the reveals have been done separately now that the schools are partnered with different apparel makers (Army West Point with Nike, Navy with Under Armour). Last year's Navy helmets, which featured different ship designsdepending on player positions, received rave reviews from in and out of the military. Army West Point will seek to break a 14-year losing streak to the Mids when they don the new gear Saturday (3 p.m. Eastern, CBS).